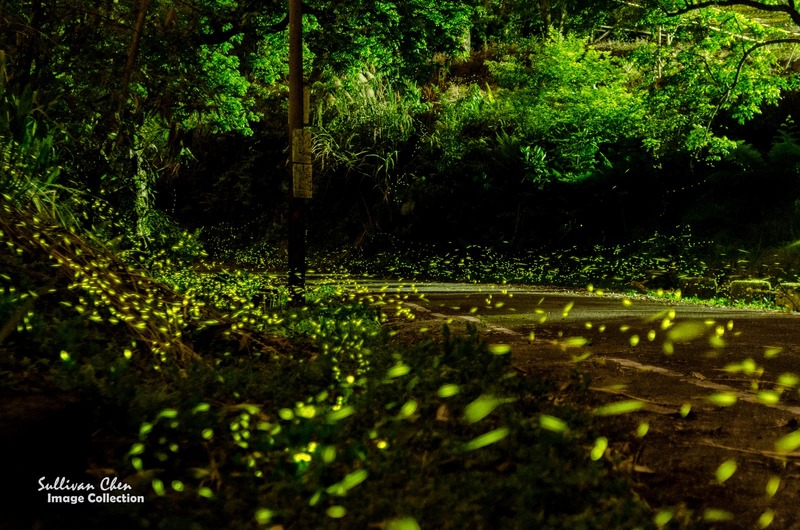 The firefly season in Taiwan is between late April and early May, depending the location and species of fireflies. From Yangminsan(Taipei) to Kenting(Pingtung) & Liyutan(Hulien), there are lots places you can enjoy firefly-watching in Taiwan. 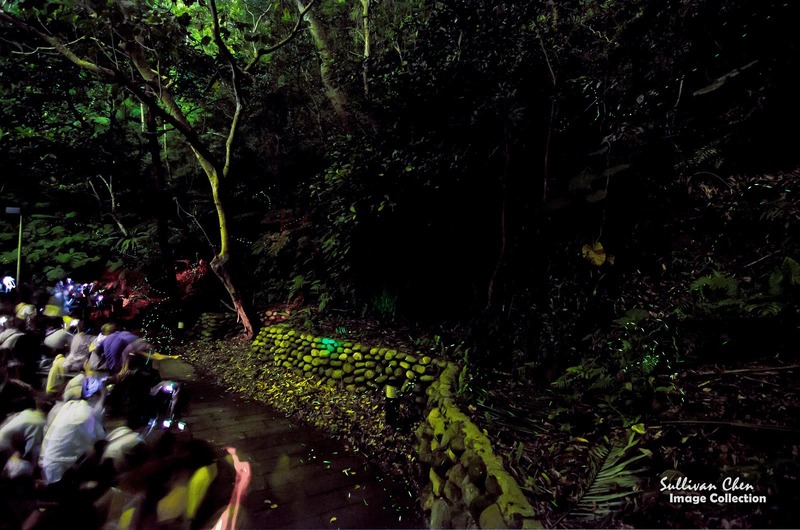 Because of public transportation in the evening, it is easier to access fireflies in Taipei area. In additional to convenient public transportation, there is also tour service in some places. The following is some information about public transportation, fee, tour guide service of firefly-watching in Taipei area. Before reading the following information, there are some reminds you should keep in mind. Please bring a red led flashlight with you if you can. Fireflies are less sensitive to red light and your eyes will feel much more comfortable in the dark when you use a red flashlight. Another thing you should keep in mind is the place you walk on. Stay on the pavement and don't step on soil or leaves as well since the larva of firefly live underground. Butterfly Garden is a private garden. If you want to you go to the garden, you should register 3 days in advance. Since there is a capacity limit, all weekends are fully booked now. You can try the weekdays. The fee is NTD 300 for Saturday and Sunday,NTD 250 for Firday and NTD 200 from Monday to Thursday. The tour guide service include indoor and outdoor guide., You should check in between 18:20~18:50. The activity is between 19:00~20:40. Hemai Mountain is the most convenient places for watching firefly. 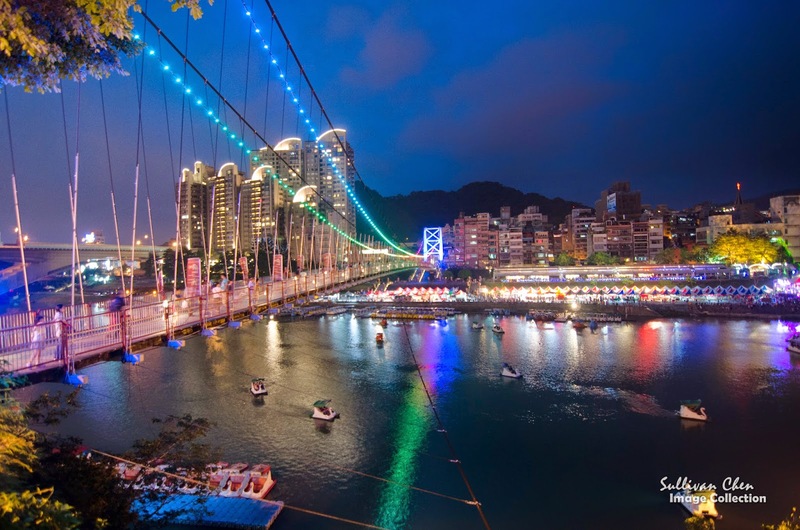 It takes about 10 minutes from MRT Xindian Station to the entrance of the trail, the west side of Bitan Suspension Bridge by walking . The free tour guide service of 2014 is between 21 April and 11 May. There are 2 sessions of tour guide in the weekday, starting from 18:00 and 18:30. The The free tour guide service in the weekend (19 April, 20 April, 26 April, 27 April,) starts from 17:00~18:30, with interval of 15 minutes for each section. You need to register by e-mail with the information of the name of one of your friends, how many people will go, and the day you want to go. You won't get a confirm letter. Just got to entrance of the tail directly. Although Newbeibei Butterfly Garden is a private garden, it is open to the public for free. You can donate NTD 100 to support him. There are lots bus line to Newbeibei Butterfly Garden. You can go to Newbeibei Butterfly Garden from MRT Xindian Station by Bus 839. The interval of Bus 839 is 15 minutes. It takes about 10 minutes from MRT Xindian Station by Bus 839. Please get off at Xizilu Station. Tung Blossom Park is abut 2km west of MRT Yonning Station. New Taipei City Government provides free tour guide service and shuttle bus between Yongning Station and Tung Blossom Park on 26 April and 27 April (2014) between 18:00~20:30. 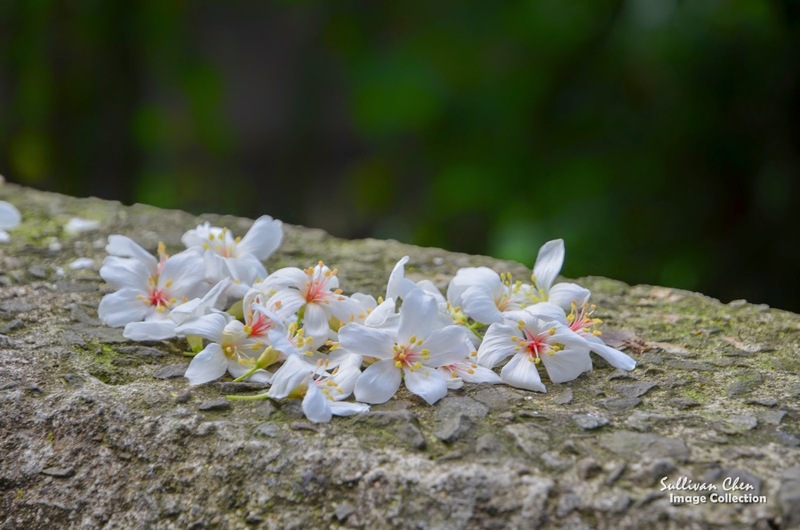 Since firefly season is also the season of Tung Blossom, you can go to the park in the afternoon to watch Tung Blossom and fireflies in the evening.